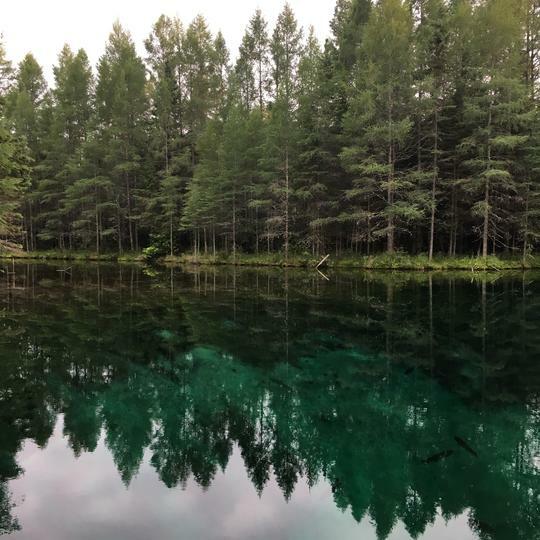 The name means "big cold water" and, indeed, it is the largest natural freshwater spring in Michigan. 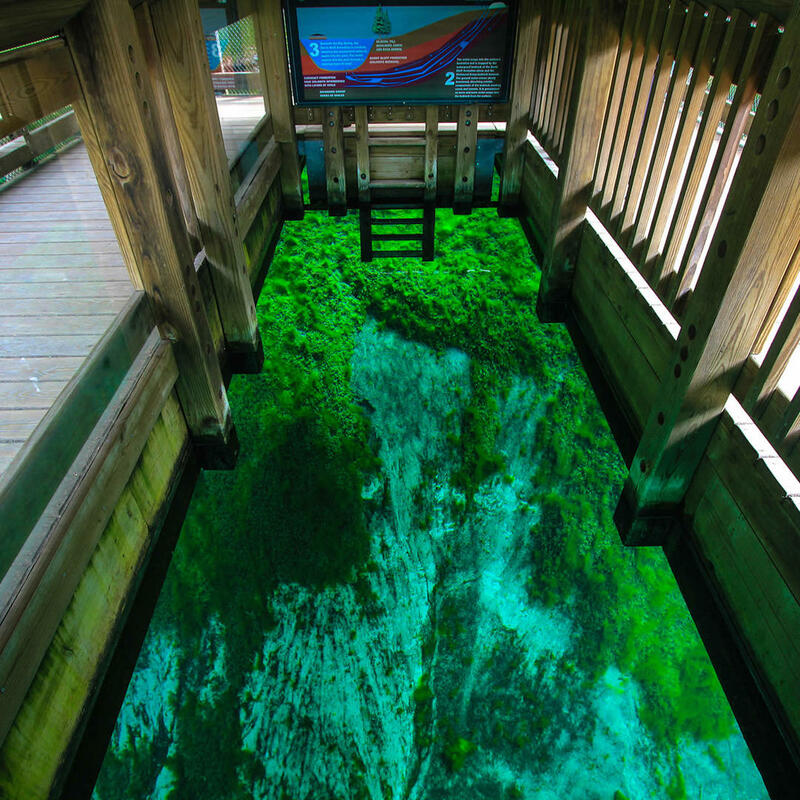 Water gushes from limestone fissures at the spring's bottom and the oval pool is an emerald green hue. 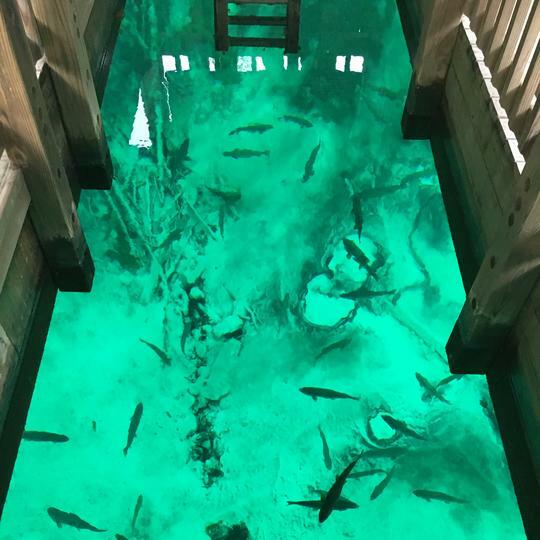 A covered raft takes visitors out on the water where they can observe the trout swimming in between branches covered in minerals.